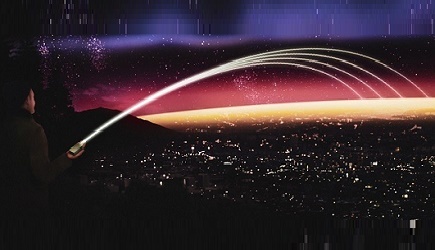 Saelig has introduced an eight-channel antenna signal processor that can open up portions of unusable RF spectra, while substantially reducing channel interference. Working with industry standard antennas and with both analog and digital wireless microphones in the 470 MHz to 928 MHz range, the new Kaltman Invisible Waves RF-ResQ (Receiver Enhancement System) solution easily solves RF congestion issues. Housed in a rugged 1U rackmount unit, the RF-ResQ is a standalone wireless microphone filtering system employing multiple military-specs and high-Q band-pass digital filters. It cleans up the received RF spectrum, allowing for closer adjacent channel spacing, potentially doubling available channel counts. It removes inter-modulation effects, and improves the reception of weaker transmissions. Each receiver only sees its assigned transmitter frequency, with no out-of-band RF interference to weigh down and de-sensitize the receiver's input. Simply installed between the antennas and receivers, the RF-ResQ's digital signal processing actively shapes and boosts each antenna's signal for improved performance, yielding an increased wireless channel population within a crowded wireless space. It uses DSP techniques to create filters with Q-values of over 6,000 in the UHF bands employed by professional audio wireless applications. This cleans-up the received RF spectrum, allowing for closer adjacent channel spacing and potentially doubling the available channels with no compromise in power. The DSP operations occur in nanoseconds, so latency is never an issue. Each channel also includes up to 10 dB of amplification, improving the reception of weaker transmissions and avoiding the need for amplified antennas. The RF-ResQ pre-filters the antenna A/B signals at the IF stage for fastest, accurate, and quiet antenna switching. This enhanced diversity technique means that there is no need for a two-antenna connection at the receiver input. The RF-ResQ can be remotely controlled via a network or USB, but once the desired parameters are set up, it can be locked and left alone, making it ideal in many fixed installation applications. It can also function as an 8-channel antenna distribution amplifier, with an RF router that adapts its filters to a variety of receiver and distribution configurations. 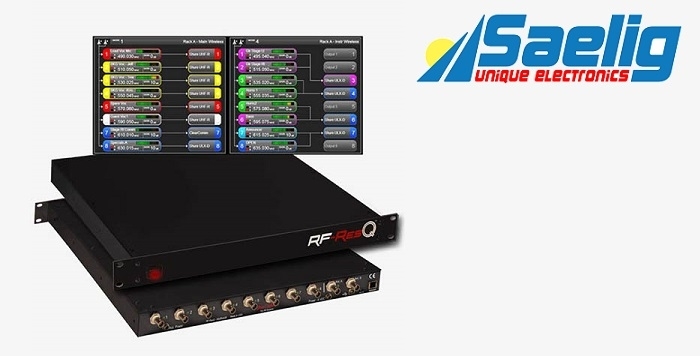 Designed and made by Kaltman Creations, the RF-ResQ is available now from Saelig.